How can cutting edge science be made simple, fun and engaging? 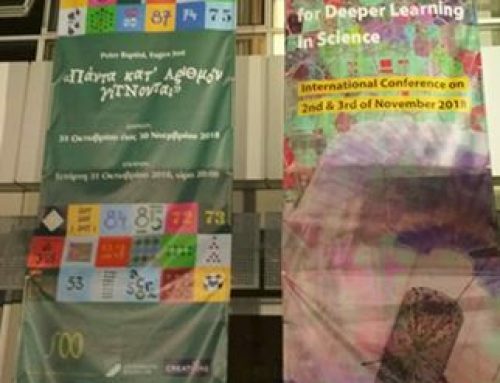 How can we explain complex scientific phenomena to our students and increase their interest in science? 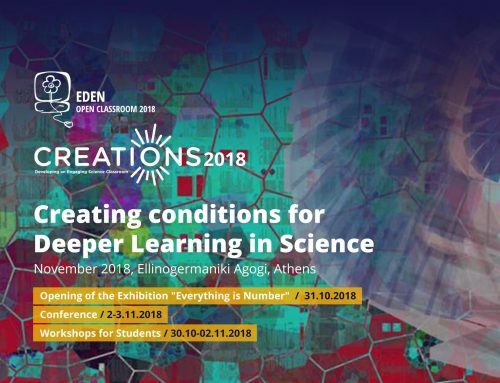 SciCo and Ellinogermaniki Agogi in collaboration with CERN, and in the framework of the CREATIONS Project, welcomed from March 28th to April 29th 2018 hundreds of students from all over Greece to explore the LHC interactive tunnel. 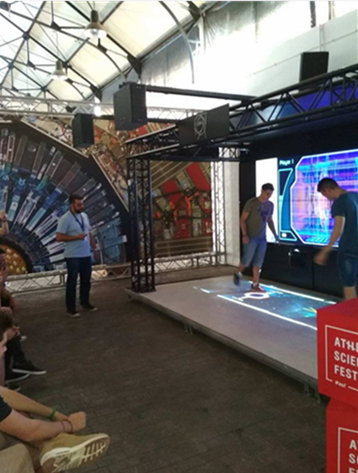 The LHC tunnel has been installed and operated initially in the facilities of Ellinogermaniki Agogi (28/3 – 23/4) and then in the exhibition area of the Athens Science Festival (23/4-29/4) and engaged more than 1000 students of all ages. 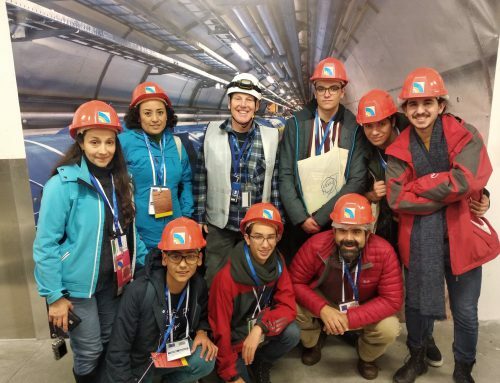 What is the mission of CERN? What is the Higgs Boson and can we imagine a universe without it? What really happens in a high energy particle collision? Students along with their teachers found the answers to these and many more questions in a fun-tastic experience: They had the opportunity to play with particle collisions, kick protons to TeV energies and observe the collision event displays, to see what is the connection of angry birds with the multiplicity of particles produced in a high energy collision, to investigate the Higgs mechanism for the generation of mass and to learn the secrets and mission of CERN in an engaging, hands-on and playful fashion.